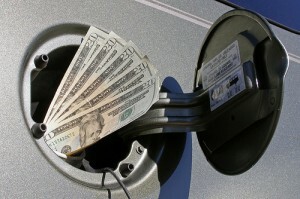 Fuel Savings – Don’t Drive Too Far to Save Money on Petrol! I used to work in a bank in Spain. I realise that this isn’t the most exciting start to a blog post in the history of the world, but there is a reason for mentioning my Iberian financial experience. I worked in a popular holiday resort which was usually filled with British tourists looking for a bit of sun and some cheery advice on tax efficient savings products. Actually, they probably never set off on their flight to the Med thinking of banking, but they usually ended up spending a bit of time in the local banks as they tried desperately to find an exchange rate which gave them an extra few pence for their pounds. In reality, they probably wasted hour after hour of their summer holidays in order to save something like 50p on the money they changed. This situation came to my mind again the other day when I read about the pointlessness of driving around to try and save money on fuel. The AA has brought out some figures which show that, for example, a 10 mile drive to find the best price is enough to eat up a 5p per litre saving. However, if you own a vehicle which guzzles more fuel your petrol savings could be gone in as little as 5 miles. It seems that many drivers still make the effort to go to the other side of town or to a different town altogether in order to save money on fuel. In fact, in a survey carried out by Gocompare it was revealed that many UK drivers head off for trips of up to 20 miles in order to save 5p a litre. 9% would do this, while one out of every 7 drivers would drive 10 miles in order to save the same amount. I guess that the tourists I bumped into in my old job at least got to see a different part of town and now have some knowledge of the Spanish banking industry. I guess you could look at driving around to save petrol in the same sort of way. If you want to take a drive and fill up at the same time then there is no harm in this. However, if you are only interested in saving cash then it doesn’t make much sense to go too far. This entry was posted in Humour, Leasing News, Musings and tagged caption, car, price, UK by Robert Bell. Bookmark the permalink.